Today was such a beautiful day so I did a lot of walking outside. Of course I did some shopping in the harbor. Here's a quick shot of what I wore. 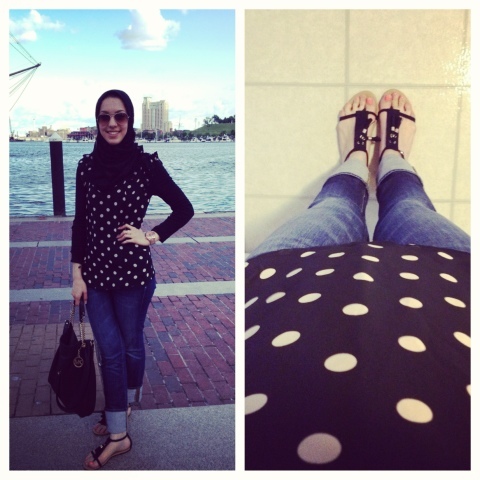 A Polka dot shirt with jeans, simple and cute! Thanks Shay! I live in MD!